Cali Bamboo was founded to…. …all by replacing traditional timber with sustainable materials. And it’s working! Here’s what we’ve accomplished so far. By using renewable materials instead of traditional lumber. Absorbed every year from the trees we saved annually. From diverting logging in the rainforest, home to thousands of species. Enhance your outdoor living space with the ultimate in composite decking. 3x the strength as other composites and the green choice in outdoor decking material made from 60% reclaimed bamboo fibers and 40% recycled HDPE plastics. BamDeck is stylish, contemporary, ultra low-maintenance, and available as the first ever Wide Plank Composite Deck option. 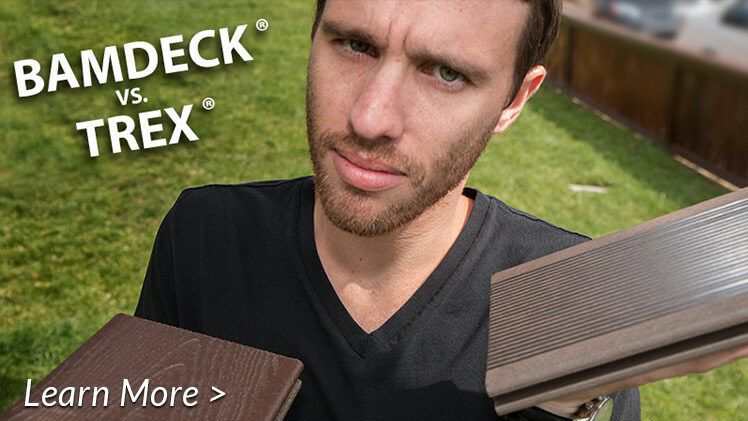 BamDeck® composite is the only decking made with 60% recycled bamboo fibers and 40% recycled HDPE plastic. 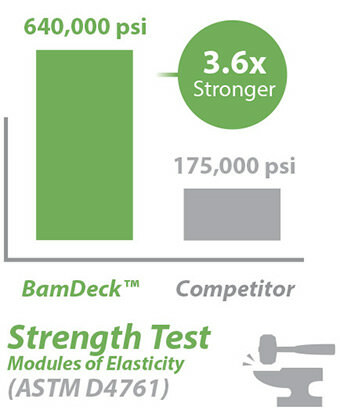 Bamboo is known for its exceptional durability, and the bamboo fibers in BamDeck give it industry-leading strength and density, making it inherently stronger than plastic decks. Bamdeck is made from 60% recycled bamboo fibers, which makes it inherently stronger than other composites. 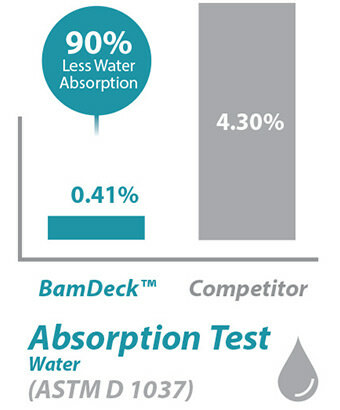 Third-party tests in accordance with ASTM’s regulations have found BamDeck® composite to be at least 3.6x as strong and 90% less water absorbent than other composites made from plastic deck material. All of Cali Bamboo’s composite decks are made from 100% post consumer recycled materials for a low environmental impact. 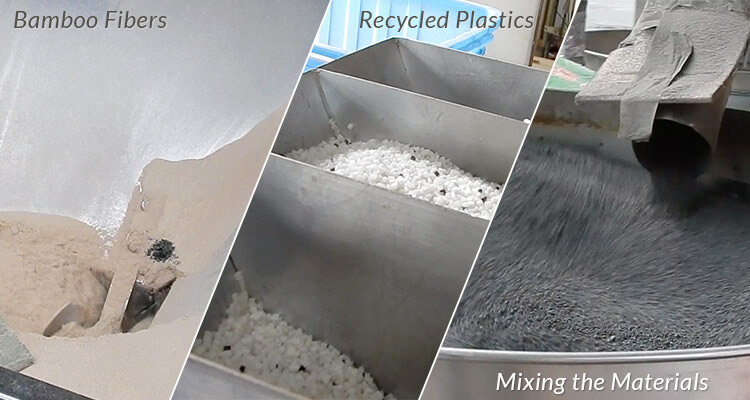 We start with recycled HDPE plastics from milk jugs and detergent bottles and then add in other premium recycled materials. 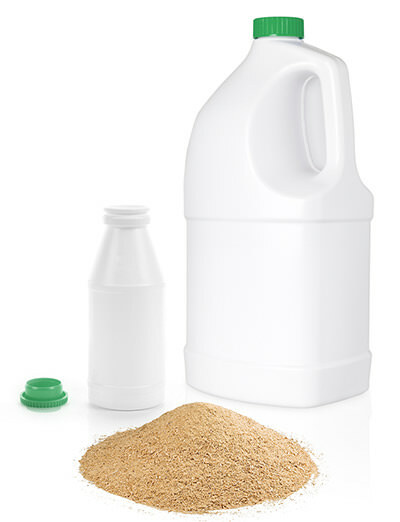 Manufactured in the United States and made from 100% post consumer recycled materials with a 50/50 mixture of reclaimed oak and maple hardwoods from the furniture industry combined with recycled HDPE plastics such as milk jugs and detergent bottles. Featuring ProFormance360™ protection and TruOrganics® Wood Grain this 16′ composite decking will put an exclamation on your outdoor living space. 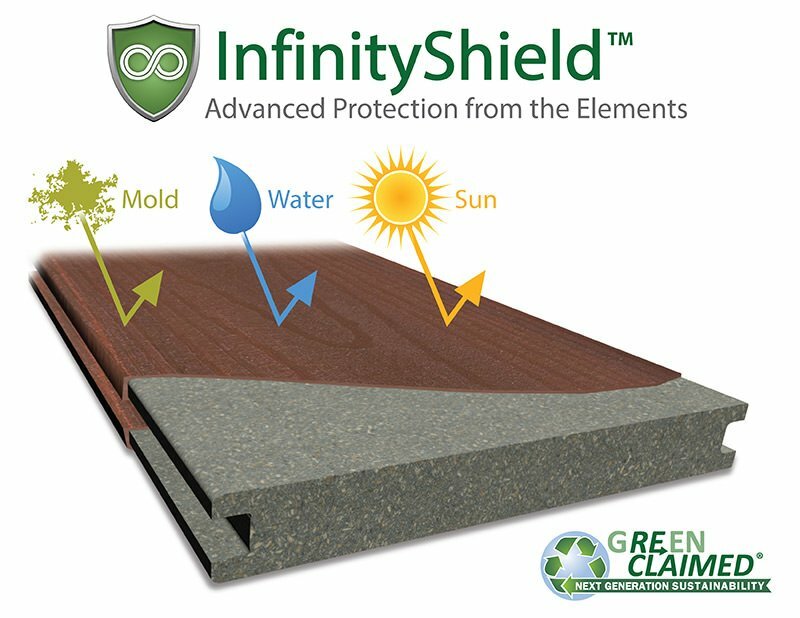 GreenClaimed™ Composite is made with a 50/50 mixture of reclaimed oak/maple hardwoods from the furniture industry combined with recycled HDPE plastics. GreenClaimed™ decking is domestically manufactured for reduced transportation emissions, and all recycled materials are from local U.S. stores and industries. All domestic products and materials, crafted by American workers.